As a partner in a business you become liable for class 2 national insurance contributions and must notify HMRC by 31 January after the end of the tax year in which you became a partner. You may register online, by telephone or by using the form (CWF1) incorporated in leaflet SE1 (Are you thinking of working for yourself?). Partners in firms are taxed on their share of the profits of the firm for the tax year, and the basis of tax is similar to that for the self-employed. Each partner is effectively taxed as if he were a self employed business, with profits equal to his share of the profits of the firm. So, instead of tax (and national insurance) being deducted from your earnings at source, you must be prepared to receive a bill at some time in the future. This can be an unwelcome surprise if you haven’t put enough money aside. Tax is payable on the whole of the profits of a trade, which is divided up between the partners according to the profit sharing agreement. Payments for partners’ own ‘wages’ (drawings) are not deductible. However, if a partner’s spouse works in the business, the wages are an allowable deduction, provided they are actually paid and are a reasonable reward for what is done. 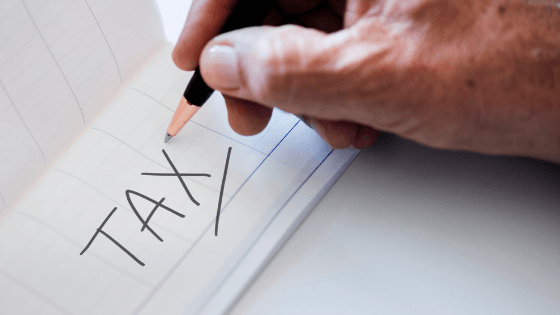 The general rule is that the tax for a particular tax year is based on the profits of the twelve months to your accounting date in that tax year. For example, the tax for 2018/19 could be based on accounts for a year ending on various dates ranging from 6 April 2018 to 5 April 2019. This demonstrates that you get more time for the tax to be worked out if your accounts end early in the tax year, which is why 30 April remains a popular year-end for self-employed people, including partners. Tax returns covering income for the year ending 5 April 2018 have to be submitted to HMRC by 31 October 2018 for paper returns or 31 January 2019 for online returns if you wish HMRC to collect any tax you owe through your code. If you wish HMRC to collect any tax you owe through your tax code if you also receive income which is subject to PAYE you must submit the return online by 30 December 2018. You can ask for this provided you owe less than £3,000. If you don’t want to work out your own liability, you must send the tax return back by 31 October 2018 or file online by 31 January 2019. The balance of income tax for 2017/18 is due on 31 January 2019 (along with the first interim payment for 2018/19 and any capital gains tax for 2017/18). Each partner is then allocated his share of the amounts taxable on the firm for the two years. You can see that the profit from 1 July 2018 to 5 April 2019 (9 months) has been taxed twice on each partner. The ‘overlap’ profit of £9,000 (£4,500 each) will be available for deduction when the partnership comes to an end, or one of the partners leaves the firm. Overlap profits also change when the firm changes accounting date. In a partnership, overlap profits are personal to each partner, rather than applying to the firm as a whole, as each partner will generate overlap profits on joining the firm, depending on his share of the profits at the time he joins. Because his second tax year does not run for a full 12 months, he would be taxed on the first six months of his share of the profits for the accounts to 30 June 2020 in 2019/20, bringing that year to 12 months, and creating overlap profits of the three months from 1 January 2019 to 5 April 2019, and the six months from 1 July 2019 to 31 December 2019, which will be taxed again in 2020/21. The self-employed including partners are subject to a two-tier system of national insurance contributions. Class 2 contributions are at a flat rate of £2.95 per week, payable with the self-assessment liabilities, if earnings exceed £6,205 per annum (the small profits thresholds). These contributions secure your right to the state pension. Each partner’s profits between £8,424 and £46,350 are subject to Class 4 contributions at a rate of 9%. Profits in excess of £46,350 are liable to Class 4 contributions at the rate of 2% without any upper limit. Class 4 contributions are collected by HMRC and are payable at the same time as the instalments of income tax. If you do not register your liability to Class 2 National Insurance your liability will be up to a maximum of 100% of the lost contributions for a deliberate and concealed failure; deliberate but not concealed failure 70% and all other cases the penalty is 30%. There will be no penalty if there is a reasonable excuse for the failure to notify. partner pays tax on the total of his or her earnings, including their share of the partnership profits. Similarly, any capital gain made by the partnership is generally apportioned to each partner. This means that a partnership of any type is generally said to be ‘transparent’ for tax purposes. Condition A is that the partner performs services for the partnership for a “wholly, or substantially wholly, fixed” amount. Condition A is also met if the partner receives an amount that varies but not in relation to the overall profit of the LLP. Such a payment is called “disguised salary”. The legislation does not define “substantially wholly”, but subsequent guidance from HMRC makes clear that this means that it applies when at least 80% of the amount paid to the partner is disguised salary. Condition A only applies if the partner provides services to the LLP. It does not apply where the partner’s involvement is limited to investing money. Condition B is that the partner does not have “significant influence” over how the LLP is run. HMRC guidance makes clear that merely voting for a management committee does not, in itself, constitute “significant influence”. Being a member of the management committee would be sufficient to break Condition B, but all of those partners who are not on the management committee meet Condition B. Condition C is that the partner’s contribution to the LLP is less than 25% of the “disguised salary” which it is reasonably expected the LLP will pay for the partner’s services in the tax year being considered. Members of LLP’s who are affected by this rule must be included on the payroll, and any benefits in kind provided to them will also be taxed on them as income.